of the Palazzo Marzichi-Lenzi, Florence. Archiater was a title used in ancient times for the doctors of Roman Emperors. Later, this term was applied to the head physicians of rulers throughout Europe. Even today, the pope’s chief physician holds the official title of archiater. 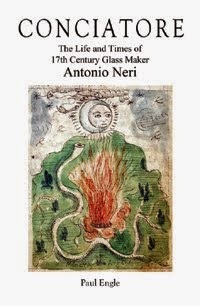 In 1612 Florence, Antonio Neri wrote the first book devoted to glass formulation. His benefactor was Don Antonio de’ Medici, an alchemist prince from the royal family. There is no doubt that Antonio Neri gained some of his expertise at the prince’s laboratory, but his start in the chemical arts is probably owed to his own father. 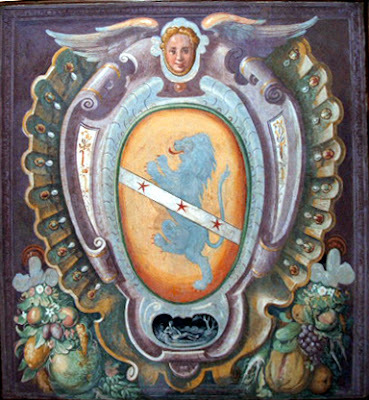 In the late sixteenth century, his father Neri Neri was appointed to the position of personal physician to the grand duke of Tuscany, Ferdinando I. For Antonio’s childhood and teenage years his father was the most esteemed doctor in all of Tuscany. Today, the connection between medicine, alchemy and glassmaking might not be so obvious, but in the early seventeenth century all three professions required use of similar materials, equipment and techniques. In the late 1580s, approaching the age of fifty, Antonio Neri's father was appointed the personal physician to Grand Duke Ferdinando de' Medici. The son of a barber-surgeon, Neri di Jacopo Neri - or Neri Neri, as he was known - had parlayed a degree in medicine into a successful and prosperous career. His elevation to 'citizen' status, a decade earlier, gave him entree into the world of the patrician elite and his appointment as royal physician secured a place for his young family near the top of the Florentine social hierarchy. The fact that Neri Neri gained citizenship at the age of forty and did so together with his father shows it was not a legacy, but perhaps their medical prowess that lead to the award. One requirement of citizenship was possession of a domicile within the city. The baptism register lists Antonio and all of his siblings as residents of San Pier Maggiore parish, long before the citizenship grant. However, it is in the 1580s that we see the first reference to Neri Neri's ownership of the palazzo at what is now 27 Borgo Pinti. Baccio Valori was librarian, keeper of the royal herbal gardens and the godfather of Antonio Neri's older sister Lessandra. In 1587, Valori received a letter from Filippo Sassetti, sent from India. Filippo was a native Florentine, the nephew of Antonio Neri's godmother, Ginevra Sassetti. He attended university in Pisa with Valori and they became lifelong friends. In the letter, he notes that he has collected rare varieties of cinnamon in his travels along the Malibar coast. His intention was to rediscover the species thought to be a powerful cure of disease by the ancients. He planned to send a parcel of seeds of these and other medicinal plants. "If it pleases God, in the coming year, I will send this to you, so that you may see it all, together with our Messer Neri Neri, who graces my memories." In the autumn of 1587, Grand Duke Francesco I de' Medici and his wife Bianca Cappello both became ill and died during a visit by the grand duke's younger brother Cardinal Ferdinando. Pernicious malaria was to blame and accounts by physicians on the scene described identical symptoms for husband and wife. The thirty-eight-year-old Cardinal Ferdinando relocated to Florence from Rome; he took charge and assumed power as the new grand duke of Tuscany. Shortly after, he appointed Neri Neri as his head physician. *This post first appeared here on 14 August 2013.